Overconsumption of alcohol and other drugs is referred to as ‘substance abuse. Drug addiction/substance abuse is a destructive habit which usually develops when students keep bad companies in schools, colleges or societies respectively. The use of illicit drugs is injurious to health; it affects the normal mental growth by gradually affecting the cognitions of students. The time comes when student is not able to differentiate between right and wrong and becomes irresponsible in his approach towards life. 7 ways substance abuse ruins student’s career is discussed in this article. Substance abuse adversely affects the cognitions of student. He loses power to make sane decisions which are useful for his life. The gradual intake of drugs makes him dependent on illicit drugs which affect the normal brain activity. Student becomes reckless without considering the expectations of his loved ones. Substance abuse makes student dependent on drugs. He spends most of his times in search of drugs. His interests are centered on drugs and his performance in studies gets disturbed and eventually he is no more able to focus on his studies. His grades are affected and he is expelled from his institutes. Substance abuse kills the creative side of bright students. It takes control of students’ minds and they are unable to set future goals for themselves. It becomes hard for them to critically evaluate their prospective goals. They have no ambitions and motivations to excel in their lives. There are increased chances for drug addict student to become delinquent at early ages. 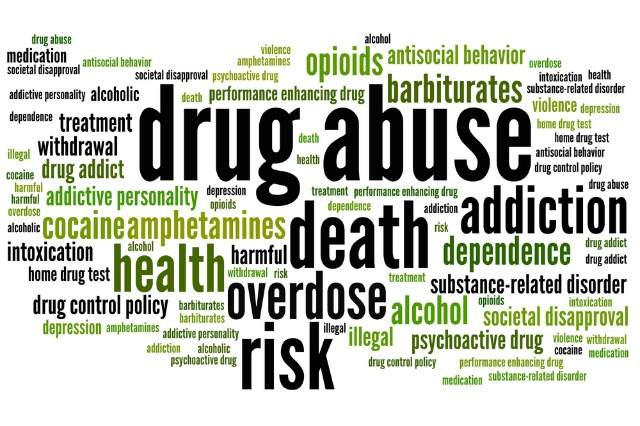 Substance abuse affects the power of decision making. Student feels pleasure by exhibiting anti-social traits and indulging in criminal activities. At last, he becomes full fledge criminal. Addict students seek happiness in showing disrespect to laws and norms of society. Substance abuse diminishes all the virtues and morals of student. The drug addict student doesn’t regard others fellow beings. He lacks moral standards, his optimism is destroyed by the over use of drugs. Substance abuse ruins the personality of student by making him ruthless, callous and brutal. When he has cravings for drugs he can go for illegitimate means to get money for drugs. Substance abusers are left alone by their family members when they no longer act in a responsible way. They become the reasons for family crisis and quarrels and eventually are abandoned by their parents and siblings and it further deteriorates their health, career and life. Substance abuse makes student idle and lazy. He is obsessed with drugs all the time. Student kills his time by sitting idle or in taking drugs. He is just left with loneliness and suffers for the rest of his life. He has lost his family, friends and all significant others. Moreover, his career is completely ruined. These were some of the drastic effects of substance abuse on students. Author’s Bio: This article has been written by Ellie Malan, a Child Psychologist, a Behaviorist and a freelance writer who writes on students’ issues she also writes blog on Online Essay Help - FreshEssays.co.uk. She writes for various online magazines and journals.